To be a powerful influence on the development and implementation of Government policy in order to secure the highest standards of justice, equity, integrity, access and efficiency in our justice system. Click here to see what the Bar Council did in 2016-17 in support of Aim 1. To provide leadership to equip the whole Bar to meet current and future challenges, and to help barristers to maintain and enhance the quality of their work, adapt to changing circumstances and operate more efficiently and effectively. Click here to see what the Bar Council did in 2016-17 in support of Aim 2. To secure a sustainable role for the Bar as a key player in the maintenance of the rule of law and the efficient administration of justice as well as being the leading provider of high quality, value for money advocacy and specialist advice, and of candidates for the judiciary of the future. Click here to see what the Bar Council did in 2016-17 in support of Aim 3. Click here to see what the Bar Council did in 2016-17 in support of Aim 4. To promote equality and diversity across the Bar. Click here to see what the Bar Council did in 2016-17 in support of Aim 5. To promote and support the effective, independent regulation of the Bar through the BSB to ensure the highest standards of professional practice and to protect the public interest. Click here to see what the Bar Council did in 2016-17 in support of Aim 6. 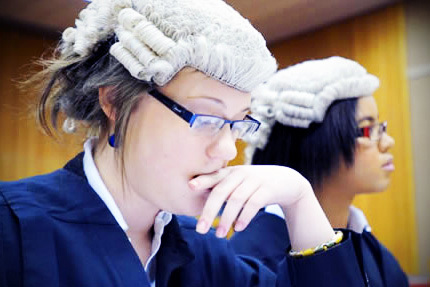 To work with the Council of the Inns of Court (COIC) and with each of the Inns to support their work in educating and training barristers, in maintaining the ethos and values of the Bar and helping them in their dealings with government, regulators and other external audiences. Click here to see what the Bar Council did in 2016-17 in support of Aim 7. To improve the effectiveness and the efficiency of the Bar Council to ensure that we can achieve these challenging aims. Click here to see what the Bar Council did in 2016-17 in support of Aim 8.